Lock in a great price for Centermark Hotel Insadong Myeongdong - rated 8.6 by recent guests. Good location in Insadong and walking distance to Myeongdong and others. Great location, pleasant and very helpful staff. Buffet breakfast was really good. Service level and responsiveness was good throughout the hotel. Superb location, close to subway (Jonggak station, line 1) and many tourist/historic areas. The room was clean and the beds were comfortable. Also appreciated the complimentary bottles of water. It was a very quick and easy to get into the hotel room and once I arrived in the room, my first thought was the room is very spacious. The bed was comfortable, the tv was small but still good. The bathroom was lovely and the overall feel of the hotel was very nice. The location was also very good with restaurants, transport and many other activities very easily accessible. Would definitely book again! Friendly staff, clean, free shuttle bus. There is a big convenient store right next to the property. STAFF ARE HELPFUL AND FRIENDLY, SUBWAY JUST 5 MINUTES WALK, INSADONG JUST BEHIND THE HOTEL. FEEL SAFE TO WALK AROUND THE CITY. Exactly as billed. Very friendly staff and well located. Rooms were a good size and very clean. The location is great! The staff were helpful and the price is really reasonable. Close to all main tourist attractions. You can literally walk 20 mins to every main attractions and Insa-dong was an alley away! One of our top picks in Seoul.Located within a 10-minute walk to Insadong and Myeongdong, Centermark Hotel offers fully-furnished rooms with free WiFi. A fitness centre and meeting rooms are also available. The historical Changdeokgung Palace, with its classical gardens and architecture, is a 7-minute walk away. Overlooking the city, the air-conditioned guestrooms are fitted with a heating system and come with a flat-screen TV, a fridge and a personal safe. En suite bathrooms are equipped with a hairdryer, bathtub and toilet with an electronic bidet. Guests can check e-mails at the business centre, or request for laundry service. Centermark Hotel also has a 24-hour front desk that offers luggage storage, currency exchange and concierge services. Kyung Bok Kung restaurant serves Korean dishes, while Au-dam restaurant offers Japanese food. 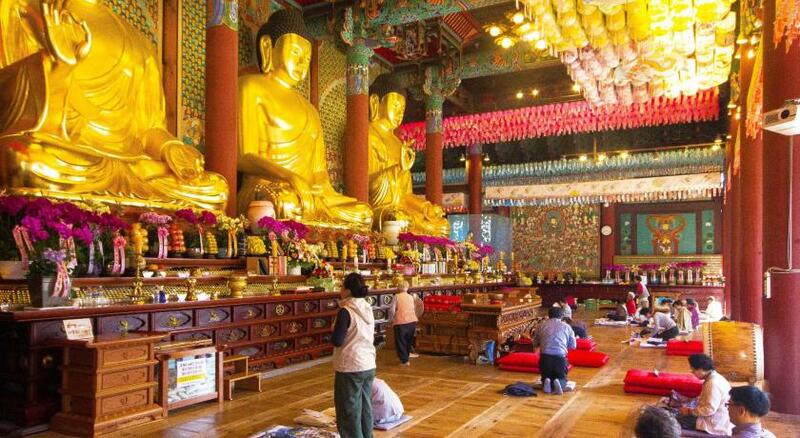 Centermark Hotel is a 10-minute walk from Gyeongbokgung Palace and a 13-minute drive to Namdaemun shopping areas. It is within a 10-minute walk from Jonggak (Line 1) and Jongno 3-ga (Line 5) subway stations. Centermark Hotel Insadong Myeongdong has been welcoming Booking.com guests since 14 Sept 2012. When would you like to stay at Centermark Hotel Insadong Myeongdong? Featuring views of the city, this double room has carpeted flooring and comes with a flat-screen TV, safety deposit box and fridge. Private bathroom includes a toilet with an electronic bidet. Featuring views of the city, this twin room has carpeted flooring and comes with a flat-screen TV, safety deposit box and fridge. Private bathroom includes a toilet with an electronic bidet. Featuring views of the city, this triple room has carpeted flooring and comes with a flat-screen TV, safety deposit box and fridge. Private bathroom includes a toilet with an electronic bidet. House rules Centermark Hotel Insadong Myeongdong takes special requests - add in the next step! Centermark Hotel Insadong Myeongdong accepts these cards and reserves the right to temporarily hold an amount prior to arrival. Toiletries such as toothbrush, toothpaste and razor are available at the front desk at a fee. Breakfast needs major improvement. I understand that I was in Asia, but its an international hotel and I believe the should have more options for their western guests. There is a self service machine, but not good at all, its out dated. Some fruits it would be nice. There is a kitchen, but you can't order anything, such as an omelette, a fried egg. The scrambled eggs at the buffet wasn't hot, just warm. Maybe some more breads, i.e. cakes. Great location. Near restaurants, shopping. Hotel its only a few minutes walk to the subway station, easy access to buses. Seoul station its only 10 min from the hotel. You can take the ARX express train to/from the Incheon Intl Airport. Front desk very helpful and friendly. Free and good wi-fi. There is a free shuttle to Seoul station and shopping area. Wifi is generally good in most of Seoul Hotels. At this property I experienced that wifi was bit slow. Rest everything was good. Good location. 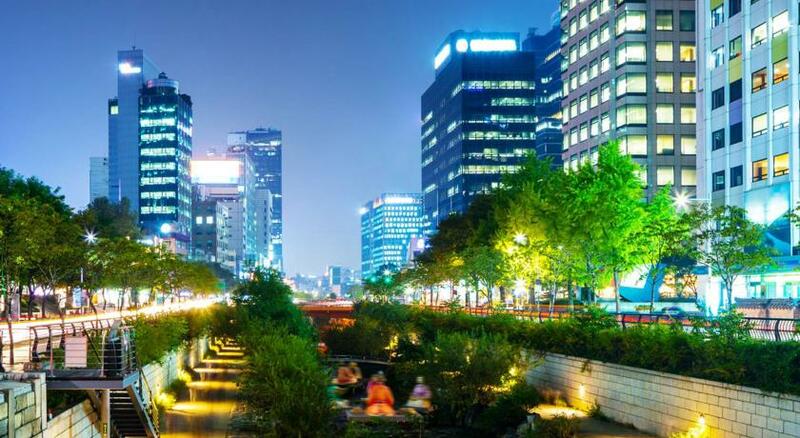 Just a few minutes walk from Insadong tourist market and metro station. Breakfast has better variety compared to several other hotels in same price range. Mattresses are way too soft. Not comfortable at all. The hotel has central heating and it was constantly 25 degrees in our room. We asked the staff many times for help to cool our room, but apparently the only solution they had was placing a fan in our room, which was a poor solution for us. I also requested a baby cot for our 1 year old daughter (in advance: by phone and email), but when we arrived they only had a very small baby cot available for baby's up to 6 months old. I was a bit disappointed about the fact that they did not inform us in advance. The location is great! Close to many nice restaurants, shops and the palace. The staff were not too friendly. Asked for extra bottles of water, was rejected. Asked to purchase them at convenience store nearby. The room smelled from mold. My partner room had a leakage in the toilet that was fixed immediately but still not good to have it in the first place. The lobby needs some work. It’s dark and the interior feels worn out. Our room was quite small - limited room to put luggage (which we could handle). A bit noisy (right by the elevator). The biggest drawback (and it was hopefully an unusual situation) was that we had strong smells coming through to our room. First day it was cooking smells. The two following days it was cigarette smoke at 6am so strong we could not sleep. The staff was helpful and we moved rooms but it was still an inconvenience. Everything is OK! Location, price, comfort! Do not purchase breakfast! It was very minimal and everything that should have been hot or even warm, was cold. At best, this kind of set up would be free. Breakfast staff just stands there starring, I mean starring for long minutes. So disappointing, eat outside... lots of choices. Staff at front desk were generally cold/indifferent. Room seemed quite clean, location was the main perk.